Collect snow and place in a large bowl. Sprinkle in cocoa powder, stirring until evenly mixed in. 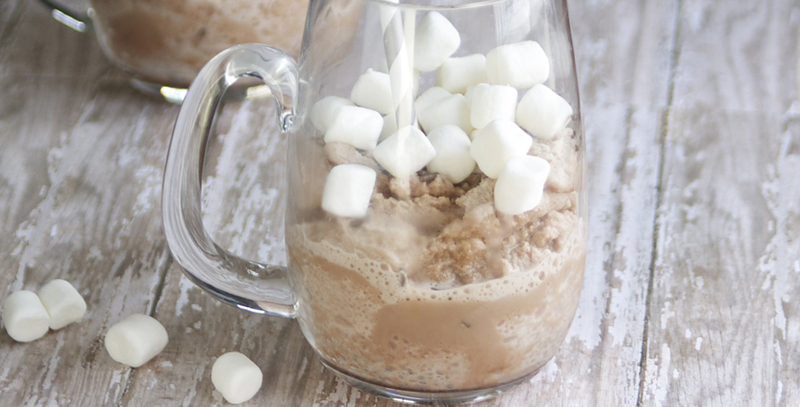 Scoop frozen cocoa mixture into mugs or bowls, top with mini marshmallows and enjoy! Such a fun frozen treat!